Sea Cliff St Thomas – a waterfront complex that offers the use of three pools and a tennis court, and it allows owners to have dogs. It’s got the full monty. Located directly on the water in Bolongo Bay, each one of the 75 units enjoys a waterfront living. There are 43 one-bedroom, 25 two-bedroom and seven three-bedroom units. Sea Cliff Villas is the skirt surrounding Regatta Point, another condominium complex which shares a security gate with Sea Cliff. And neighboring these two complexes is Watergate East, also on the water, but not behind a security gate. The three complexes have a reciprocal relationship which means residents can use each other’s pools, as well as the Regatta Point tennis court. Another advantage of living here is being able to walk to one of three beachfront restaurants. The Bolongo Bay Beach Resort is home to Iggies Beach Bar and Grill for a burger, fries and a beer. Or for more upscale dining there’s The Lobster Grille at Bolongo Bay. Additionally, Mim’s Seaside Bistro is situated on Bolongo Bay and specializes in seafood. Sea Cliff Villas were built in the 1980s, according to the association’s office. Their lack of curbside appeal – the buildings are boxy and bulky – is softened somewhat by the fact that they literally are oceanfront. 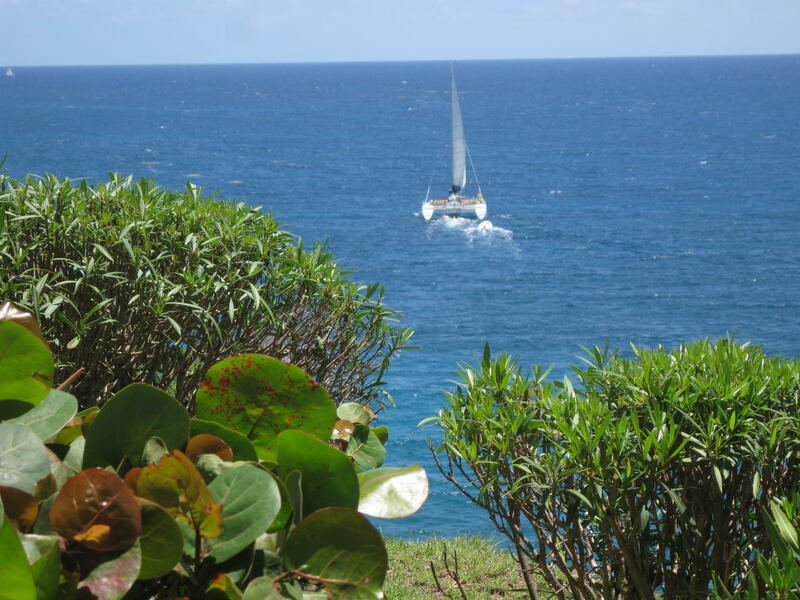 There’s a trail that leads from Sea Cliff to the Bolongo Bay Beach Resort’s beach, and keep in mind, all beaches in the VI are public, regardless of whether a resort or a residence is alongside. The beach directly in front of the complex is rocky – not too bad for strolling but hardly a place to lounge and swim.